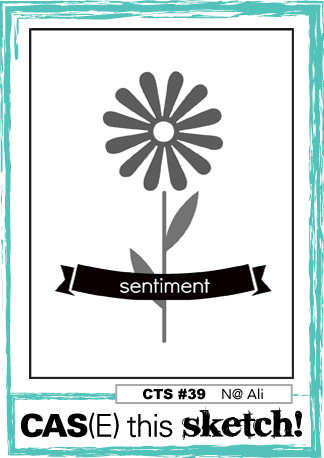 I'm back to share another card for Clearly Besotted Stamp's August release teaser time. 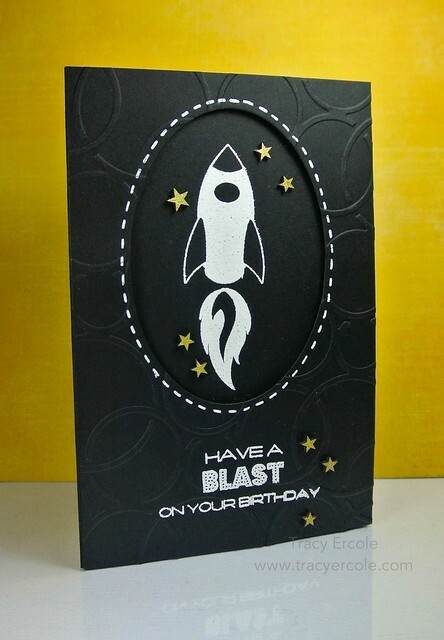 This card is a bit different for me, I usually like to use a lot of white, but I loved a card Kristina Werner made in the Clean & Simple Card Making class which was a 'cleaner' chalkboard look, so thought I would give it a go. I was also inspired by this weeks CASE this Sketch. I used the new set Blast Off, available on the 6th August. Even though 3 of my boys are a bit old for this set now, my youngest will love this card. I heat embossed the image and sentiment onto the cardstock in this case but there are also matching dies, Woo Hoo! I am going to put this in the Simon Says Challenge - Anything Goes and CASE this Sketch. Wow! This card is so cool! Love it! Tracy this is out of this world (no pun intended)!! I love the embossed circles and your focal is perfect! Love this one, my new fave from you!! Your card is wonderful! Love how you have die cut the centre and embossed the circles! Beautiful card love the use of that embossingfolder. Have a nice weekend. Wauw great in black!!! Very nice card!